Cape Cod played a significant role in JFK’s family life and presidency. And as our neighbor grew in celebrity, our region became a backdrop to some of the most historical and memorable events in U.S. and world history. 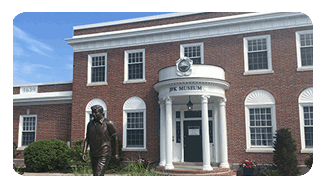 As stewards of this civic memory, the John F. Kennedy Hyannis Museum works to preserve this legacy and our unique local heritage. With a renewed commitment to preserving our unique history and bringing new light to John F. Kennedy’s legacy of ideas and ideals, the Museum is working to create a modern venue where we can better serve our community and continue our work to inspire active and informed civic engagement — ensuring the JFK legacy, and the Museum, remain relevant and sustainable for generations to come. I) The museum’s modernization project began with a focus on updating exhibit content. Utilizing well-respected, professional exhibit designer, Roger Westerman, exhibits have been expanded and improved to regional museum quality standards. 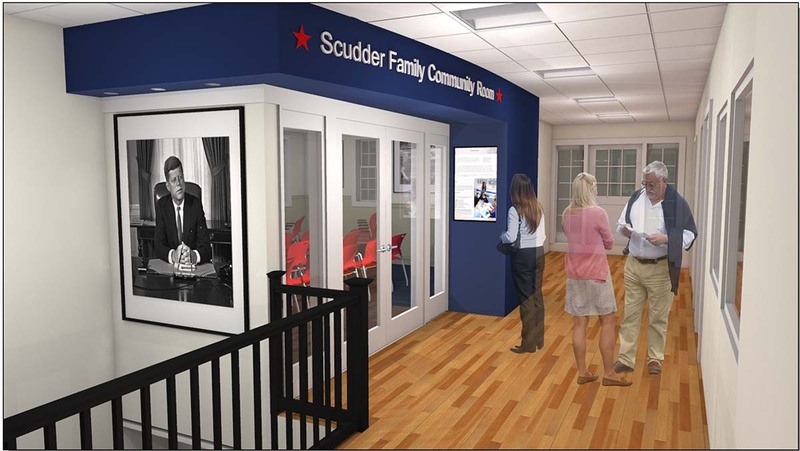 II) Currently, renovations plans are underway to create the Scudder Family Community Room for Civic Education. Construction is planned to begin in December 2019 with completion in April 2020. The renovation includes the construction of a 50-seat community room with configurable tables and chairs that will support the Museum’s civics education and diverse cultural programming, while also accommodating community events and providing a space for private and corporate events. 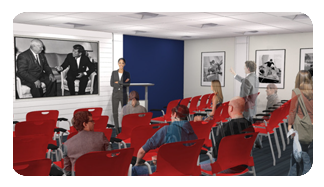 A key component of the new space will be advanced media capabilities, enabling in-house viewing of special speaker programs and educational curricula from external organizations, including the JFK Library and Edward M. Kennedy Institute for the United States Senate in Boston. The Museum will also be able to do outbound live streaming and broadcasting to a variety of audiences such as classrooms, year-round residents and home-bound or limited mobility patrons. As an integral part of the local social infrastructure, we’re thrilled with the opportunity the new community room will provide to expand our current programming and enable more local students and residents to benefit – ultimately fostering social interactions and building relationships that result in a stronger community. III) The final phase of the Museum’s modernization efforts will include a complete renovation of the Main Level exhibition and reception space – including the addition of a theater, interactive exhibits (including virtual and augmented reality), and enhanced accessibility. Planned for 2021 and 2022, this work will be the culmination of the modernization project. You make our work possible! Thank you. Generous support from individuals, businesses and foundations are the foundation of our modernization. With special thanks to the Capital Campaign donors for investing in the Museum’s future! Make a Donation – Donations are accepted securely on this website on our donation page. You can also call Moira Noonan-Kerry at (508) 790-3077 ext. 6, or stop by the Museum at 397 Main Street, Hyannis, MA. Your donation to the John F. Kennedy Museum is inspiring informed and active civic engagement! – You’re modernizing our building and exhibits to deliver a high-quality experience, making the Museum relevant and sustainable for today and generations. – You’re growing our collections and artifacts to preserve and promote the legacy of President Kennedy. – You’re providing contemporary civics education curricula that will help students develop their capacity as leaders. – You’re supporting compelling and dynamic cultural programming that will inspire and encourage positive discourse. Share your talent – There are opportunities to share your expertise as a volunteer on one of our committees. 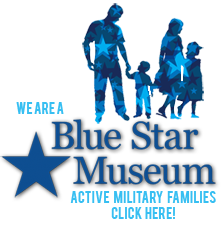 Contact Museum President, John Allen at (508) 790-3077 ext. 4 to find out more. 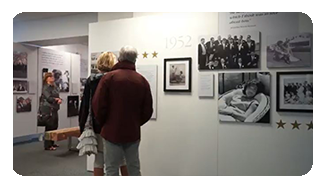 Spread the word – Let friends, families and co-workers know about the exciting things happening at the John F. Kennedy Hyannis Museum! Share and Stay Informed – Share our website – www.jfkhyannismuseum.org. Join us on Facebook and Instagram. Sign-up to receive email updates. 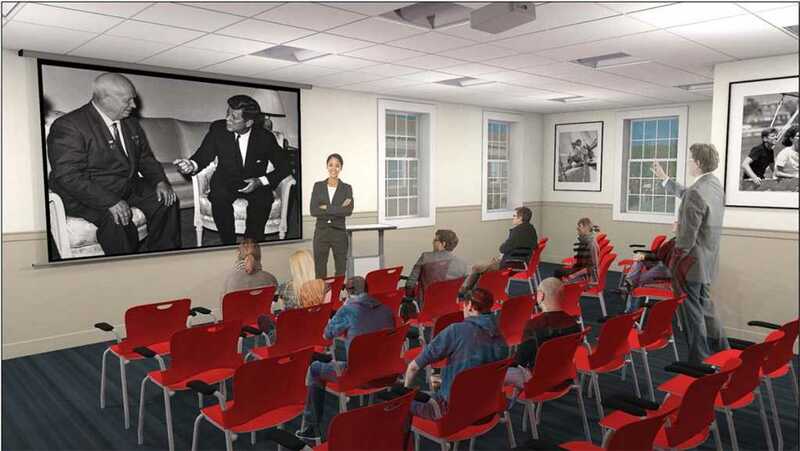 Renovation includes construction of a 50-seat state-of-the-art auditorium and media room with a 50 seat community room and configurable tables and chairs that will support Museum-wide programming. The museum is actively developing its own educational curricula and content that will be used to promote and support civic learning and engagement opportunities. Expansion will create the space needed to serve residents, students from local and regional schools, and visitors with educational or informational programs and activities. Our artifacts and collections are enormously important in helping in preserving and promoting the legacy of President Kennedy, his family, and their deep connection to Cape Cod.